They call it a practice for a reason! Our experience on the mat is similar to journal writing; it’s personal, insightful and full of revelations, some we enjoy, acknowledge and embrace, others we tend to ignore, allow to build up and are surprised when illness arrives, nudging us to care for self in a deeper way. I can only teach from a place that I have experienced personally. The insights I receive, the struggles and hurdles I have had to overcome, are conversations to be had both on and off the mat. In the end, we walk this path to realise a very simple yet profound truth; you are the person you have been waiting for. Our search for external satisfaction, accomplishment and accumulation, has pulled us further away from our centre, rather then leading us closer to our truth. 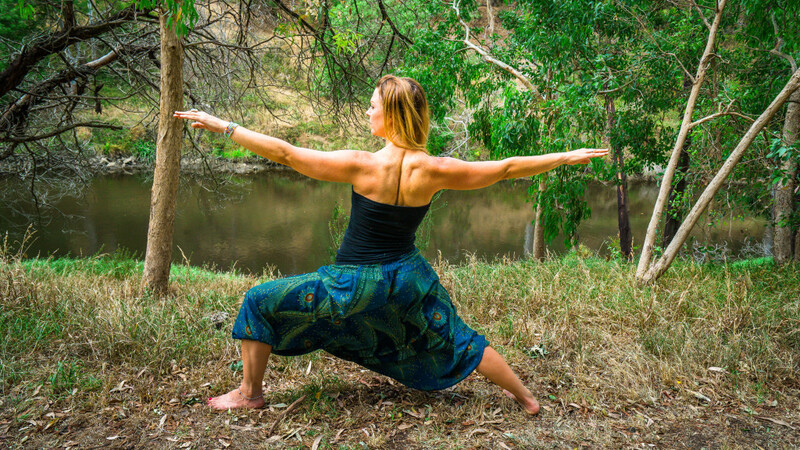 Back in 2001 I studied a Hatha Teacher Training course in Perth, WA. I was young, naive and rebellious, believing that I knew what I wanted from life, and that didn’t include breathing deeply and finding stillness. I was living the life of a dancer, teaching, choreographing, rehearsing and was chasing the hot tip of fame, recognition, seeking external validation from others that I didn’t understand how to offer myself. Life has a funny way of turning us slowly back to where we need to be. I returned to Melbourne in 2006, older but none the wiser, feeling as though my ship had sailed without the success I so craved in the dance industry. I began teaching in the fitness industry, and seemed to find my niche with the holistic, personal and graceful form of Yoga. I have never looked back. I have travelled the globe, hungry for that moment on the mat you have when you allow a new teacher to guide you to places you never thought you would get to. Attending Yoga Conferences around the world, I have been inspired by Seane Corn, Shiva Rea, Simon Park, Les Leventhal, Tiffany Cruikshank, Bo Forbes, Sadie Nardini and so many more dedicated teachers that have had influences on my practice and assisted me in reaching insights that I never thought I could be open to.